It’s that time again! 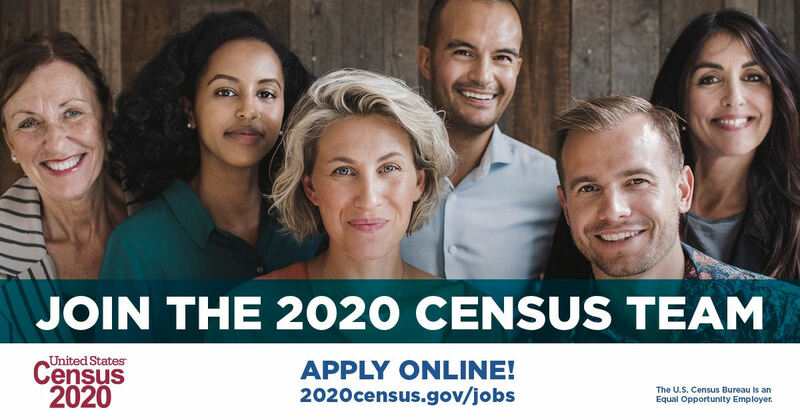 Every 10 years the U.S. Census Bureau is responsible for conducting the nationwide census. 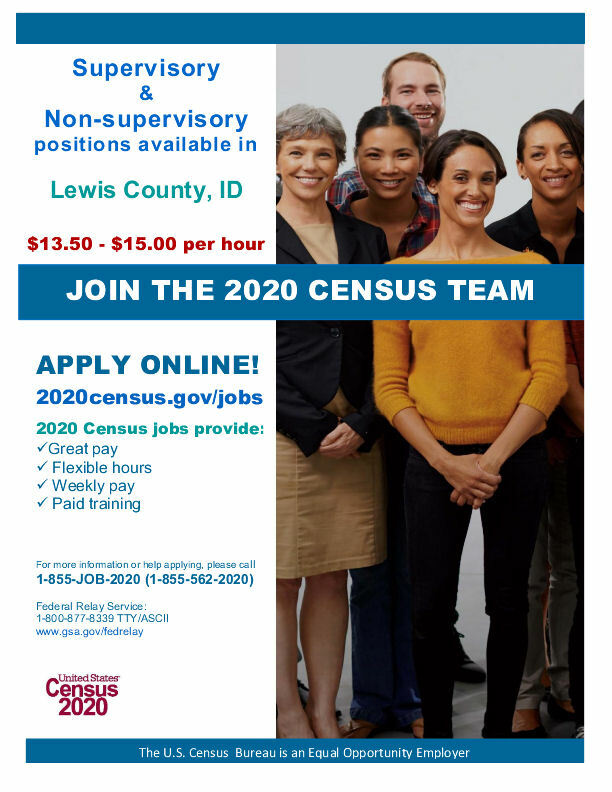 While the next census will be taken in 2020, the Census Bureau is recruiting NOW to fill important temporary positions. One application portal for multiple job positions. 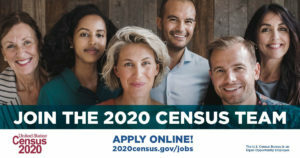 Apply online at www.2020census.gov/jobs. 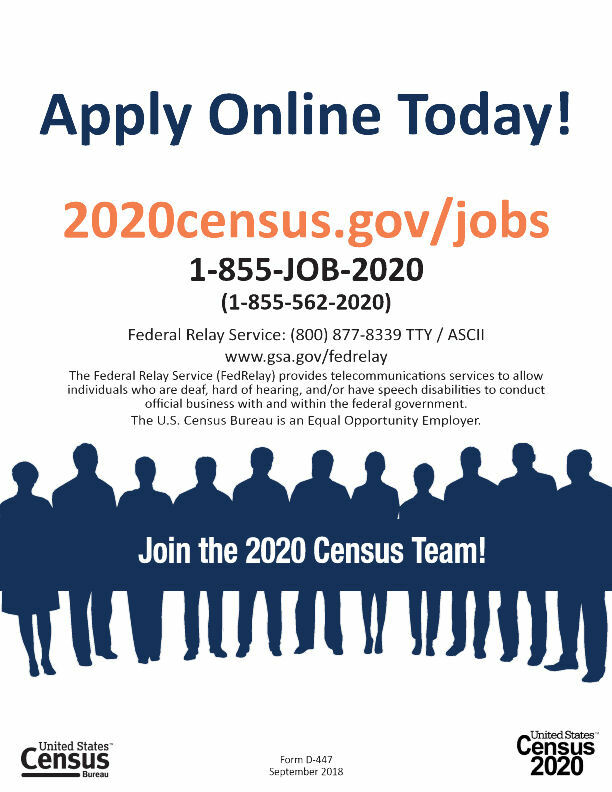 This site includes How to Apply, Job Details, Eligibility Requirements, Timelines, FAQs, and more. As an additional benefit, we offer a generous mileage plan which is an asset for our rural crews!